This is a 100% Indian human hair full cap wig. It has fine and natural French lace all over with a poly coating perimeter that makes the toupee easy to clean and attach. All knots on this toupee are bleached. This custom hand crafted T296 100% Indian human mens toupee is one the most natural and undetectable systems we make. 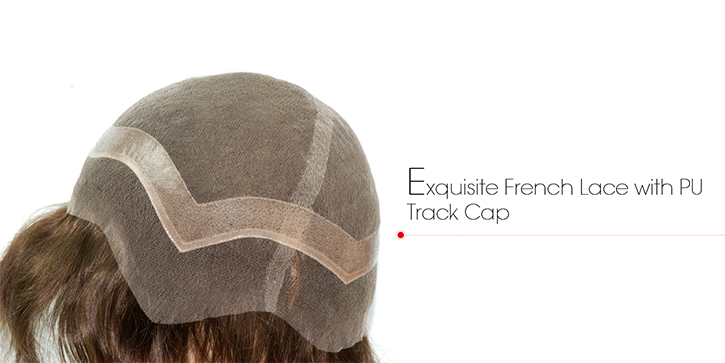 This mens toupee offers all the benefits of French lace, it is: soft, light, breathable and undetectable. 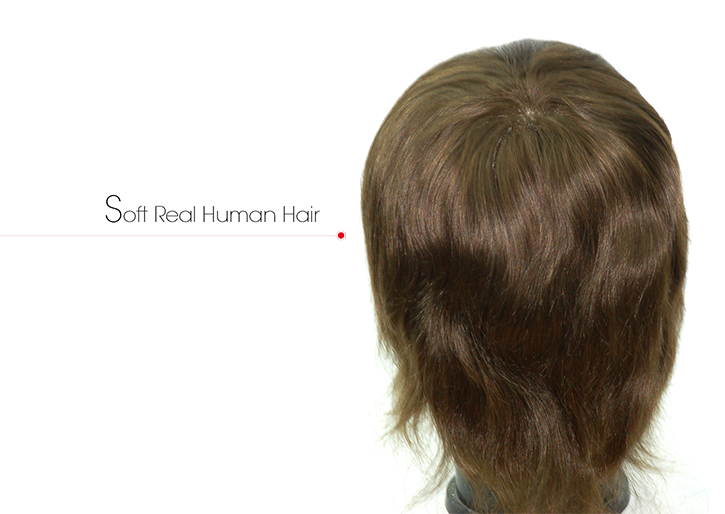 The poly coating around the perimeter of this toupee wig makes the T296 easy to attach and clean. The overlap between the French lace top and Poly coated perimeter of this mens toupee is stitched, reinforcing shape and contour. This mens toupee is finished with a lace perimeter which is natural and undetectable. French lace cap with poly coating all around perimeter with French lace around the very edge. The overlap area between two parts of lace is stitched to support good contour.